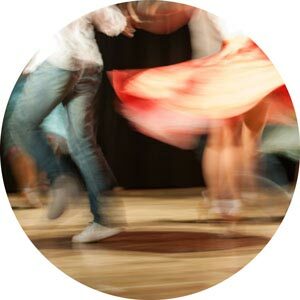 This Double-Step Swing dance also known as Retro Swing is perfect for the ’50s & ’60s Rock’n’Roll and Rockabilly music as well as the 1990s revival of new or Neo-Swing music. Retro Swing is very lively with its different style movements. It is related to Jitterbug and East Coast Swing but has a little different style and footwork definitely worth adding to your repertoire. You will find yourself really getting into the music and having fun. In the late 1980s and into the mid 2000s Swing music and Swing dancing had a big revival. The 1930s and 1940s was part of the Big Band era, then in the late 1940s and 1950s the music was known as Jump Blues. Then in the early 1990s neo-swing began and by the late 1990s retro swing was appearing in movies and commercials. 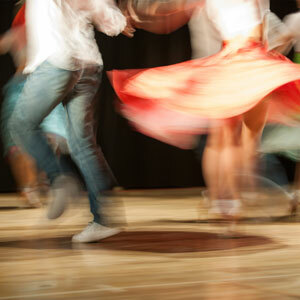 Swing music and Swing dancing keep evolving as new generations add their own style and energy to them.